Accidents at work can happen in any profession, and the public usually support employee efforts to make their workplaces safer. However, while the majority of workplace accident claims do not see hundreds of other people suffering catastrophic injuries or losing their lives as well as the employee, there are certain jobs where the safety of the employee is of paramount importance in terms of public safety. Therefore, it is no surprise to learn that a ComRes survey found 89% of Brits would be worried if they were in a plane that had been flown by a pilot who had not slept for 22 hours, with only 1% saying they would not be concerned at all about this. 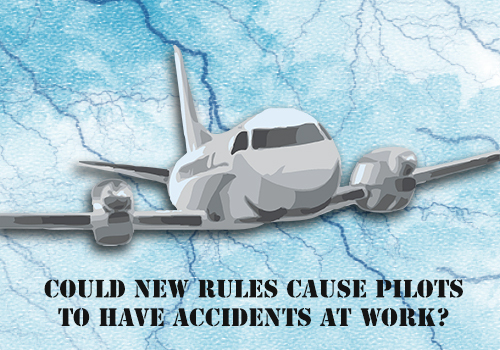 Could New Rules Cause Pilots To Have Accidents At Work? New ‘flight time limitations’ proposals by the European Commission could see a pilot waking up at 6am to work at 8am, with their reporting time extended to 4pm. This could be followed by an additional 12.25 hours of flight, meaning the pilot would be awake for 22.25 hours when touching down. If something goes wrong on the aircraft, it could spend an additional 2 hours in the air, so a pilot could actually spend more than 24 hours awake. Pilots may have to deal with 7 consecutive early starts, leading to dangerous levels of fatigue and significantly increasing risk for pilots and passengers. The consequences of an error in the air could be substantially more severe than an accident at work compensation claim, potentially leading to the death of hundreds of people. The British Airline Pilots Association (BALPA) is asking the Civil Aviation Authority (CAA), the government and the UK’s MEPs to reject these rules wholesale and “go back to the drawing board”. Currently, British airline safety standards are some of the strongest in Europe, but will reach the “lowest common denominator” if these rules come into effect, BALPA warned. MEPs and British transport ministers will vote on the proposals on October 24th. The Dutch Parliament has already indicated it will reject these proposals so The Netherlands’ strong safety standards are not compromised. BALPA suggests that staying awake for 22 hours while in control of a plane could well be unsafe and lead to serious workplace accidents. It argued that the CAA should have insisted that the proposals are scientifically evaluated and has “totally failed” to stand up for the UK’s high standards of pilot safety. Currently, the CAA has failed to state whether or not it believes staying awake for 22 hours while in control of an aircraft is safe. The European Aviation Safety Agency (EASA) has not yet provided the testimony of a qualified medical professional or specialist fatigue scientist to indicate the new proposals are safe, nor has it released information about the people who developed the rules. The European Ombudsman is analysing whether the EASA’s methodology when developing the rules was flawed and whether this amounted to maladministration. 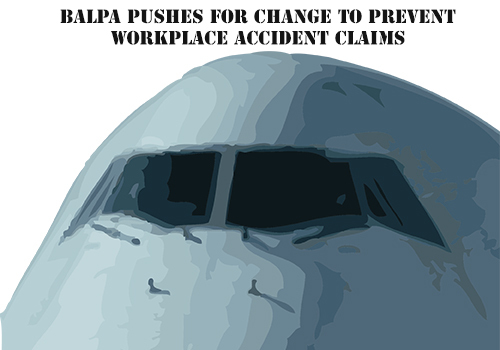 BALPA has claimed the EASA ignored experts and lacked any scientific basis.